Hey everyone! 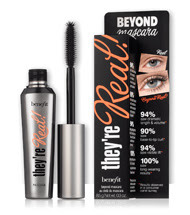 Today's post features the They're Real product line from Benefit Cosmetics! 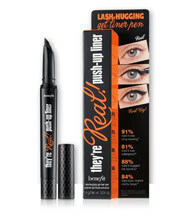 This line has the semi matte lipstick and lip liner in one in a variety of shades perfect for this season, plus some other great eye products. Check them out below. INTRODUCING NEW THEY'RE REAL! DOUBLE THE LIP LIPSTICK & LINER IN ONE! Enjoy free shipping on orders over $35 with code SHIPREAL. 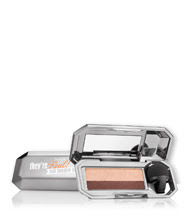 Shop NEW products from they're real, including lipstick & eyeshadow duos! Shop NEW they're real! 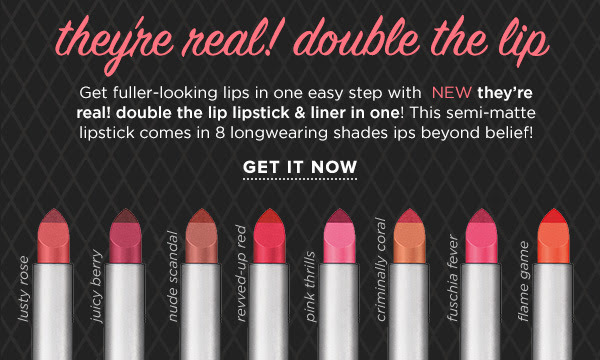 double the lip lipstick & liner in one, and get FREE shipping on orders over $35! Shop NEW they're real! duo shadow blenders, and get FREE shipping on orders over $35! 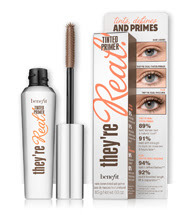 SHOP THE THEY'RE REAL COLLECTION!